Achieve that modern gym girl look and complete your workout outfit with a trendy pair of sneakers! 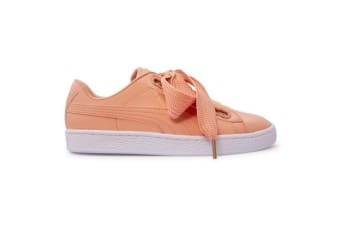 Puma Women’s Basket Heart Patent features a thick woven lace for a unique look that will definitely add a cute touch to your gym outfit. 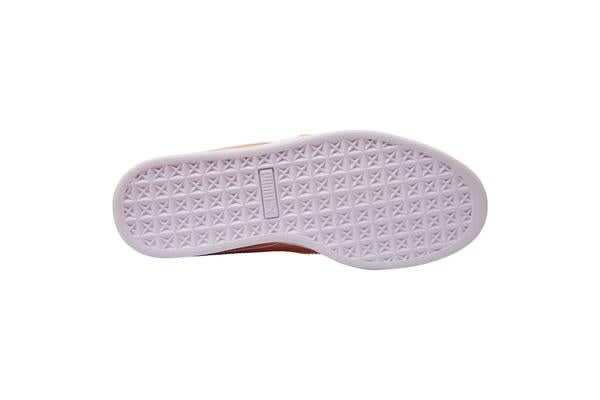 Upper part is crafted from a synthetic material while the sole is made of rubber for grip. Equipped with a padded collar and tongue for softness and comfort during wear. Pair this with an equally trendy gym pants or leggings. Great for gym or everyday wear.